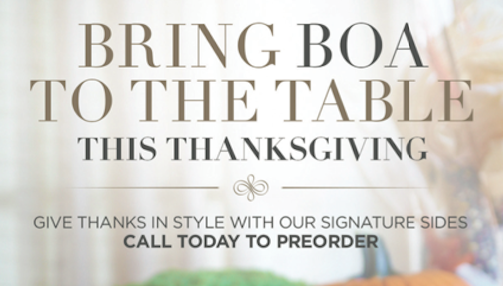 Bring BOA to the Table for Thanksgiving! 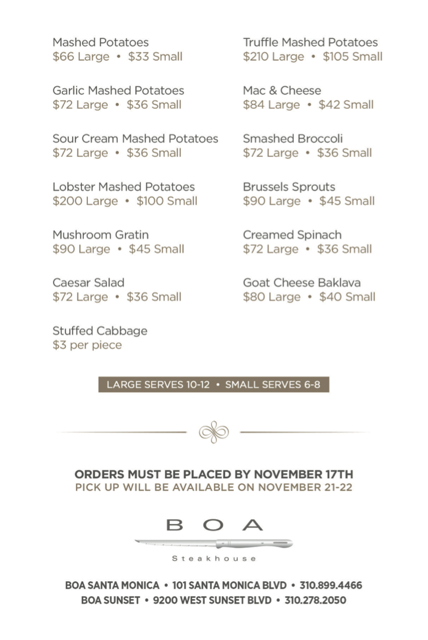 Spend your holiday time with the ones you love, and let BOA do the cooking. 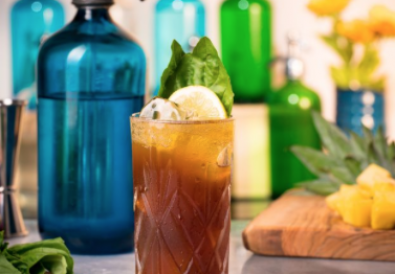 This Thanksgiving, the Innovative Dining Group is offering up small and large plate options of traditional fall delicious dishes/sides ranging from truffle mashed potatoes, brussels sprouts, mac & cheese, and everything in between. 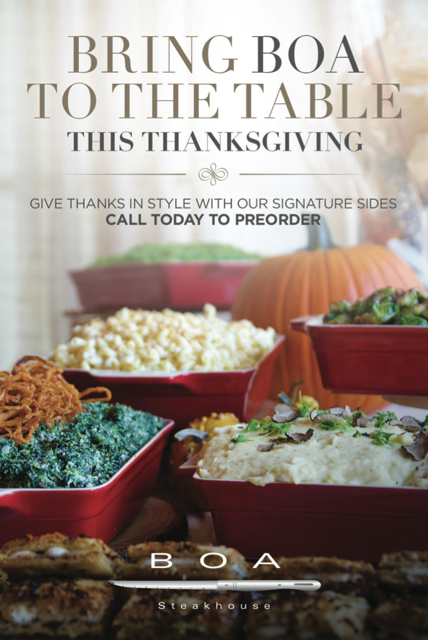 Place your reservations by November 17th to ensure your meal is ready for the big day, pick-ups will be available between November 21-22.